Toronto-based Fairfax Financial Holdings is among the insurers who own Lloyd’s syndicates that were shut down at the end of 2018. The Corporation of Lloyd’s released Wednesday a list of the eight syndicates that stopped trading as of Dec. 31. Among them are syndicates ultimately owned by Paris-based AXA-XL and Bermuda-based Axis Capital Holdings Inc.
Fairfax, AXA and Axis are still in the Lloyd’s market because they continue operating syndicates that were not shut down. Lloyd’s reported Wednesday its combined ratio in 2018 was 104.5% in 2018, down from 114% in 2017. Lloyd’s made a profit in each of 2014, 2015 and 2016. Lloyd’s had gross written premiums of £35.53 billion in 2018. The British pound closed Tuesday at $1.77. The eight syndicates that stopped trading as of Dec. 31 wrote a combined total of £1.5 billion in gross written premiums in 2018. Among them were Axis syndicates 2007 and 6129, which had gross written premiums of £946 million and £72 million respectively in 2018. Axis told Canadian underwriter the premiums and accounts from Syndicate 2007 have been absorbed into a different Lloyd’s syndicate operated by Axis. This was what Axis planned to do in the first place as part of its $2-billion acquisition in 2017 of Novae Group plc. Syndicate 6129 – originally a joint venture between Securis and Novae – had been placed into run-off in 2018, an Axis spokesperson told Canadian Underwriter. A new syndicate – Apollo Syndicate Management Limited 1971 – started trading Tuesday, Lloyd’s said. Apollo Underwriting also operates syndicates 1969 and 6133. The Corporation of Lloyd’s is not an insurance carrier but oversees the market. The syndicates are the entities that provide the capital and ultimately pay out on claims. One syndicate that stopped trading is Advent Underwriting Limited’s syndicate 780, which had gross written premiums of £180 million pounds in 2018. Most of Advent Underwriting’s business went to the Lloyd’s business at Brit PLC, Newline and Allied World, all of which are ultimately controlled by Fairfax. Fairfax is the corporate parent of several major insurers, including Northbridge and OdysseyRe. Some clients insured by the London market are seeing premiums increase four-fold, Axis CEO Albert Benchimol said Jan. 31 during a conference call discussing his company’s 2018 financial results. In addition to closing eight syndicates, the London market saw more than 70 different announcements of exit or significant reductions in various lines in 2018, Benchimol said at the time, adding there are some reports of prices going up by as much as 300%. 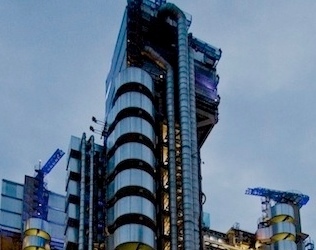 In its annual report Wednesday, Lloyd’s reported Catlin Underwriting Agencies Limited 6111 which reported £34 million in gross written premiums in 2018, ceased trading Dec. 31. Catlin Group was acquired in 2015 by XL Group PLC, which has since been acquired by AXA. Catlin still operates the largest Lloyd’s syndicate, 2003, which reported gross written premiums of £2.26 billion in 2018. Catlin is also still operating five smaller syndicates. Also gone is Syndicate 44, owned by New York City-based AmTrust Financial Services Inc. Two other AmTrust syndicates – 1206 and 5820 – stopped trading Dec. 31, 2017. The other three syndicates that stopped trading Dec. 31, 2018 are Charles Taylor Managing Agency Limited 1884, Barbican Managing Agency Limited 6118 and Chaucer Syndicates Limited 6130. Thanks for the information. I read in this article that Lloyds Bank is not an insurance company: https://thebusinessalert.com/lloyds-online-banking-complete-guide Please how true is that and also is it safe to buy insurance from them?